New York, October 2, 2017 — Sunday’s tragedy in Las Vegas is deeply disturbing. As the deadliest shooting in modern U.S. history, it is heartbreaking. We are deeply saddened and our condolences go out to the victims and their families. As information is slowly disseminating, and more details are surfacing, two major thoughts come to our mind. First, the apparent problems the United States has with guns and the gun industry. Although we still do not have all the details, The New York Times reports that recordings taken from the shooting suggests the use of one automatic weapon. The fact that the shooter was able to obtain such gun, or any gun, is disturbing and should alert all of us to the power of the NRA and the problems with our laws regarding guns. Secondly, this event is about violence, it is about aggression and fear. We live in a culture that glorifies power and violence as exemplified by president Trump. Years ago Marshall Rosenberg claimed that the use of violence (psychological and physical) is learned though culture. Now more than even we need to learn the practice of nonviolent communication, and be reminded that all human beings have capacity for compassion. Rosenberg believed that humans resort to violence or behavior that harms others only when they don’t recognize more effective strategies for meeting their needs. Or, when those strategies are not practiced or exemplified in their world. Are we teaching our kids those strategies? Do we practice them every day with one another? Do we interrogate our own power with Others? 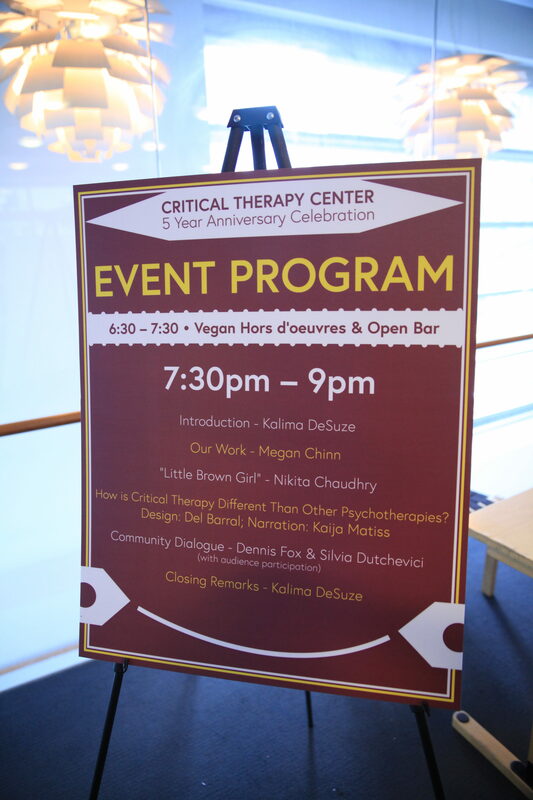 On September 14, 2017 we celebrated Critical Therapy Center’s Five Year Anniversary. I want to thank everyone who came out and celebrated with me, with us. It was an awesome evening! I especially like to thank all our speakers are presenters. Kalima our gracious and wonderful host, Dennis for joining us, Megan for talking so eloquently and passionately about the many services we offer and Nikita for her powerful and heartfelt performance. I also want to thank the many people who made the evening possible, Del for the video design and Kaija for her wonderful narration that made it all come together so perfectly. George for the elegant posters, Jon for taping and taking pictures, without even knowing he was there, and Jackie for making it all run smoothly. Our volunteers, Matthew and Stefanny for helping us and believing in our work. And Eleni, for helping us set up, clean up and for being such a supportive team member. Most importantly, I want to thank all of you, our audience: friends, family, patients, colleagues and partners for showing up, for being with us, for your ongoing support, and love. Together, we are building our beloved community, while envisioning new ways of being in the world grounded in compassion, liberation, and empowerment. We thank you all for the trust you continue to give us and we are touched by the love we share. CTC: Five Year Anniversary Celebration! 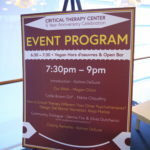 Come celebrate Critical Therapy Center’s 5 Year Anniversary! 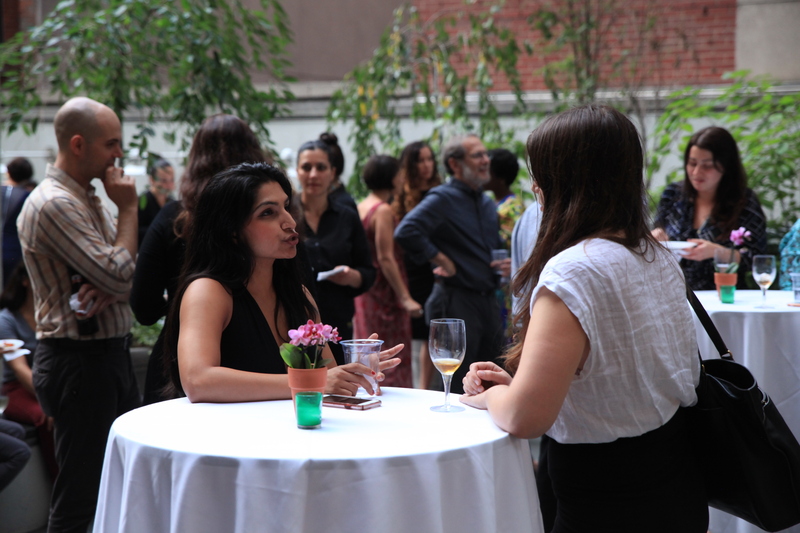 Join us for an exciting opportunity to learn more about our training program, enjoy a spoken word performance by Nikita Chaudhry, and network with an amazing community of people doing transformative work. This event will be hosted by Kalima DeSuze and feature a lively public dialogue between social critical psychologist Dennis Fox and our founder Silvia Dutchevici. We will explore topics such as: critical psychology, critical therapy, social justice and the role of politics within psychology. We promise an evening of celebration! In line with our philosophy, our tickets are based on a sliding scale. Purchase your ticket here. Dennis Fox is a social psychologist, an academic, a writer, and an activist. His co-edited book Critical Psychology is now standard text for radical and critical psychologists in the United States and abroad. He has published numerous articles and has done extensive academic work on the interconnections among psychology, law and justice. Dr. Fox was a professor of legal studies and psychology at the University of Illinois at Springfield. Using a perspective building on anarchism and critical psychology, he is especially concerned about mainstream psychology’s support for an unjust status quo. More recently, Dr. Fox has been involved with the Occupy Boston movement and now he is focusing on his photography. Silvia Dutchevici is a psychotherapist and the founder of the Critical Therapy Center, which she started in recognition of the need to expand psychoanalytic praxis to include and be mindful of the ways race, class, gender and religion interact with psychological conflicts. She has presented on critical therapy at many academic conferences. She has lectured at New York University and Fordham University and been featured in: Huffington Post, Psychology Today, International Business Times and Women’s Health. Prior to founding the Critical Therapy Center, Silvia worked for different organizations such as Queens Pride House, Sanctuary for Families, the Arab American Family Support Center, the Ms. Foundation for Women, and the International League for Human Rights. Kalima DeSuze is an Afro-Latinx Black feminist/womanist anti-oppression social worker. 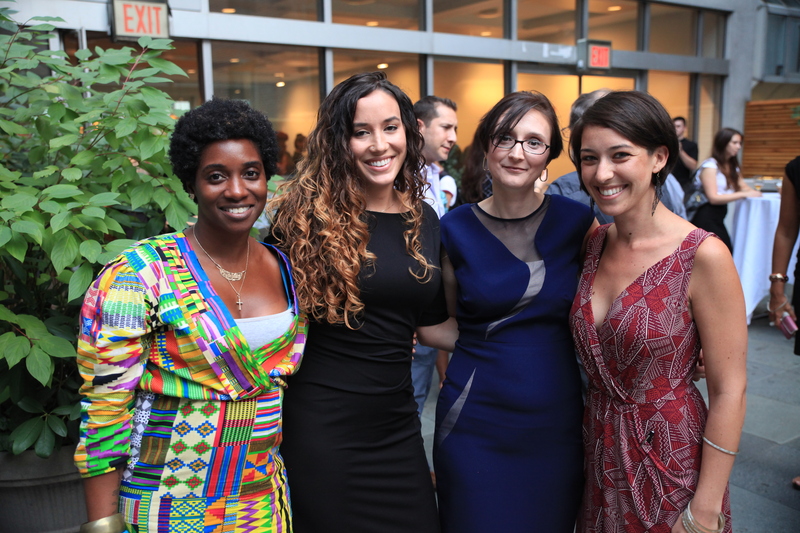 Since her transition from the U.S. Army in 2004, Kalima’s work has been dedicated to addressing the systems of oppression that most directly impacts her experiences, specifically: working to eradicate racism and gender-based violence. She has collaborated with grassroots organizations such as: Voices of Women Organizing Project (VOW), Service Women’s Action Network (SWAN), Girls Education and Mentoring Services (GEMS), Black Women’s Blueprint (BWB) and, the Undoing Racism Internship Project (URIP). Currently, she is the assistant direct of field education at Silberman School of Social Work at Hunter College, City University of New York. Nikita Chaudhry is an actor, dancer, singer, choreographer, and activist currently based in NYC. Her work extends from stage to screen, recently seen in An Unexpected Thing Happens at Theaterlab, Portraits at the Skirball Center for Performing Arts, RIBS at Planet Connections Theatre Festivity, and in movie theaters worldwide in The Spectacular Jihad of Taz Rahim (2015). Nikita has a deep-rooted passion for social change and public policy. Engaging in both animal activism and LGBTQ activism at a young age, followed by creating programs and conversations around race and diversity, she continues to learn more through her service work, employment, and daily life. She hopes that her work will continue to serve as a catalyst for social change, and reimagine an inclusive and diverse entertainment industry. On January 21, 2017, we marched on the streets of New York City. We marched to support women. We marched for a better world. We marched in memory of our mothers, grandmothers and the women who came before us. We marched for our daughters and granddaughters, and we marched for our sons and for men and women who envision a better world. We marched because we imagine a different world. We marched for health care and mental health. We marched for human rights and women’s rights. We marched against a culture and a society that our current president, Donald Trump exemplifies, for he is the symptom and not the problem. We marched against a system that undervalues women, and minorities, and anyone who is Other. We marched against homophobia, transphobia and xenophobia. We marched against exploitation, torture and racism. We marched for dignity for everyone. We marched because we care! The New York Women’s March was a sister event of what began as a modest call to action on Facebook the night after Trump’s election and has now come to be known as the Women’s March on Washington – an organized political rally in Washington DC, one of the larger political demonstrations ever staged in the US capital. Sister events took place in cities around the world. We have chosen to share a few links that capture the spirit of the day. In light of the recent election and the anti-immigrant messages in United States politics, I wrote down some ideas and experiences of my reflections while working with immigrant patients. I am a passionate social worker, and I am an immigrant myself. What is so unique about working with immigrants? Is there any difference between working with immigrant patients and non-immigrant patients? Do we have to even ask patients about their immigration process? Or, even their immigration status? Do we need to bring immigration into our therapy sessions? In this moment in time, can we ask questions about immigration without scaring our patients? And how do we do it? Well, these are some examples of questions that I hope clinicians ask themselves in their practice. For us, at the Critical Therapy Center it is always already part of the dialogue. Since the personal is always political, I can start with myself. I am a very proud Colombian woman who had the opportunity and privilege to be a US citizen. I came to this country, only with the idea that I will stay for 3 months, and I have been here 16 years. I confess that there has not been any year in my 16 years of being in the U.S., that I did not miss my country, my family, my culture. In America, I have a beautiful daughter and an incredible partner, who is Colombian as well. As for my daughter – she was born in New Jersey. And with her birth, I begun to wonder how do we create another culture within our culture? Do we forget our own to become or to integrate within another? As a therapist working with immigrants for the past 16 years, I always see in their eyes something special when they are talking about their countries — a tint of sadness, a melancholia when describing their countries, their families, their lands, their dreams. Every one of my patients have an amazing story that I wish I could record. I am grateful because they have shared with me. Additionally, I have worked with some immigrants who tighten up and are a bit frightened when talking about their country of origin; for these folks their country of origin brought persecution and pain, resulting in a very ambivalent feeling about what they left behind. While working with immigrants I have the unique opportunity to hear thousands of stories and to meet amazing people. As social workers we have a responsibility to hear these stories and if we lose, or miss, this opportunity we are losing the chance to get to know our patients in a deeper way. To lose this opportunity is to lose the incredible aspect of our patients and their dreams, their families, their sadness, and their losses. Looking at the acculturation process is an important part of therapy. It offers us a better understanding of the many losses patients had to face when coming here. There is trauma in each story, even if the process of coming to this country was on simple (with a visa, with his/her family member(s), with a job). There are always loses, and we need to be aware of them. We need to learn to identify them and to respect them. In my work I have identified phases that immigrants undertake as part of the immigration process. Some of the phases start before they arrive here; for example: reasons why they decided to come to the US, process in which they came, experience arriving to US territory. Others happen once they arrive here like: the roles they assume, how others perceive them, and their experiences here. Lastly, yet very significantly, the experiences they might have had with mental health professionals, or with health care professionals, or any other interaction with US agencies. For example, refugees usually go through a mental health screening to assessed whether or not their stories of trauma and pain are indeed true. More recently, how the anti-immigration rhetoric is affecting them, their families and loved ones. 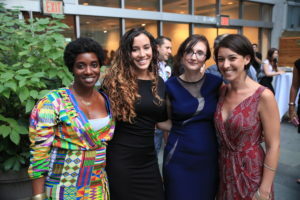 I love working with immigrants, because they are, a mirror of my own loses, of my own love for Colombia, and my gratitude to the US, and the opportunities I have here, but especially because it gives me the opportunity to learn, to question what we do (politically, personally, socially) and the way we do it. It also gives me opportunities to reflect on our system of immigration and how as a country, the US treats its immigrant population. After listening to stories of pain, loss and hope, I feel I have gained a better and greater understanding of how brave immigrants are, and how many strengths we have and need in order to survive each day. Working with immigrants helps me asses what matters most: my deep respect for the Other. It also encouraged me to create the idea of a second or third culture. We don’t have to give up certain traditions, and we can integrate some from this country. We can keep what we love and assimilate what speaks to us, and in the process creating our own unique and multicultural traditions. As immigrants we constantly negotiate between there (home) and here (not home, yet home now), while in the process we are creating a blend of cultures, of experiences, of families… a third, forth or simply anOther unique culture based on our own personal histories and experiences.